HANOI – At a recent controversial meeting, Japanese economist Kenichi Ohno stated that it was his belief that Vietnam had fallen into the middle income trap. 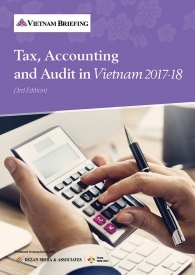 This has created a heated debate among economists and financial analysts as to what is the real economic situation currently in Vietnam. The middle income trap is an economic situation where a country is able to achieve a certain level of income but finds it impossible to move beyond that amount. Economic growth in the country stagnates as a result. 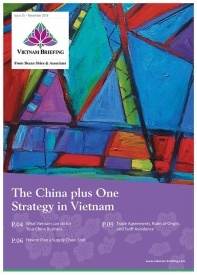 Ohno has pointed to warnings given in early 2008 that Vietnam was in danger of falling into the middle income trap. However, he says these warnings went unheeded and now there are clear signs that the country has fallen into the trap. The country’s competitiveness rankings have seen little improvement. Ohno has called the current rate of GDP growth for Vietnam a “social crisis”. Looking deeper at the productivity numbers, Ohno pointed to how, from 2009 to 2012, productivity for the whole economy grew at an annual rate of 3.2 percent and the production sector grew at a rate of 5.1 percent. However, the nominal wage increase per year for the same period was 25.9 percent for the economy as a whole, and 23.5 percent for the production sector. The picture that Ohno drew of the country’s competitiveness situation was just as bleak. According to data from the National Assembly, Vietnam’s competitiveness has dropped at an annual rate of 22.7 percent for the economy as a whole and dropped by 18.3 percent in the production sector. The fact that the devaluation of the dong has not offset the decrease in competitiveness has only exacerbated the situation in the opinion of Ohno. 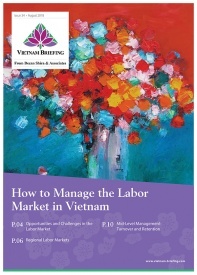 However, not all analysts agree with Ohno’s diagnoses of the Vietnamese economy. Noted Vietnamese economist Nguyen Minh Phong disagrees strongly with Ohno’s findings. Phong points to two key factors that show that Vietnam has not fallen into the middle income trap. His first point is that, according to the World Bank, a country can only be considered to be in the middle income trap if its average annual per capita income stays at the level of US$4000-US$6,000 for 42 years. Vietnam has been at this level for only three years, not the several decades needed to identify that it had fallen into the trap. Phong’s second point is that Vietnam’s growth has slowed due to a conscious decision made by the government to enable economic restructuring to take place which will then allow the country to attain a stronger economic growth rate over the medium term. However, Phong does admit that Vietnam’s economic growth is not as high as he would like to see. 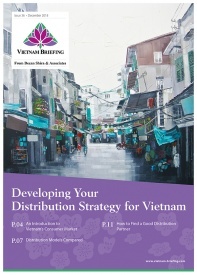 According to the Organization for Economic Cooperation and Development it will take until 2058 before Vietnam will be a high-income country – provided that it does not fall into the middle income trap in the meantime. Reform education and training to foster high-quality human resources. Phong also said that it was important to learn from how other countries had avoided the middle income trap. 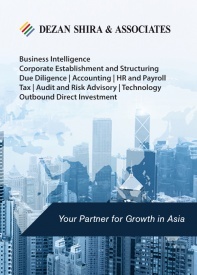 In particular, Japan, Taiwan, Singapore, and South Korea provide key learning opportunities for Vietnam. Importantly, all of these countries see their private sector firms as vital to economic development and value international cooperation highly. Additionally, 18 percent of these countries’ GDP comes from their industrial sector. 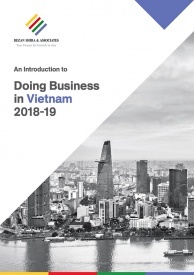 While development of the country’s industrial sector remains important, Phong also discussed how developing Vietnam’s services sector could be a way to ensure strong economic growth. Kimura made clear that if Vietnam wanted to see higher growth rates it would have to make much more progress on reforming state-owned enterprises and the banking system. Additionally, the country must further improve its public investment. The debate continues to rage on, but there are signs, such as Vietnam’s nascent tech startup community, that the country will not become mired in mediocrity but instead will soar to the commanding heights of the Asian economic system.